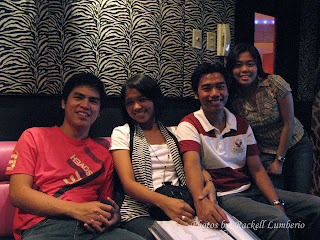 I can't remember how Biboy and I officially met. As far as I remember, we do lots of activities, food trips and out of town at the same time. He is my boyfriend's close friend since college. I have limited information about this guy coz I found him sometimes as a mysterious guy. Haha. I know slight information about his love story,definitely Ian tells some stories about their college life. I don't mention it all since I know he will read my blog and react to what will I say about him. Haha. 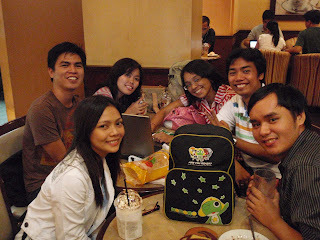 I remember my 1st out of town with the group; we planned to have our adventure trip in Sagada and Baguio for 4 days way back April-May 2008. We enjoyed every moment of the day, new adventure and new challenges. Picture explains what I really want to say. I remember the 1st ever dinner treat with these guy, when he treats us in A Veneto Pizzeria as his birthday treat to us at the same time welcome party for Ian. 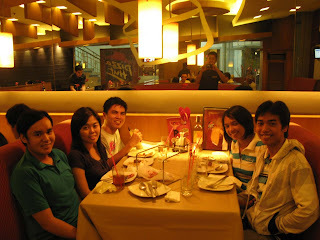 On this dinner, we planned our 2nd getaway for holy week. We decided to spend the long vacation in the island of Puerto Galera. 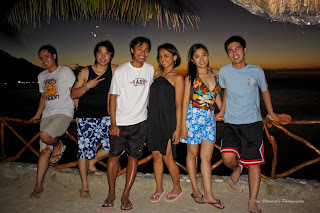 We enjoyed our 3 days vacation in Tamaraw Beach Resort and at the same time birthday celebration of our dear friend Jim last April 10, 2008. This time, CJ joins us in this trip, additional member to our traveler group. 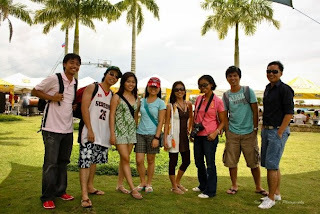 Then, another trip with this guy was last September 2008 when our group tries to explore the city of Naga in Camsur. 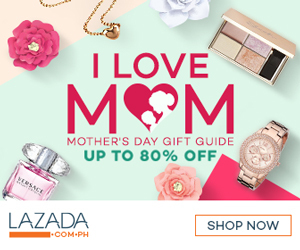 We also do lots of dinner, movie marathon and food trips as well. I think we have common interest. Our last meet up was last Wednesday to borrow his "Barong". For all of you know that Ian is one of the entourage for Jap and Beth Wedding on March 27. We eat dinner at Glorietta 4, Food choices and enjoy the night by sharing different stories and at the same time update on what keep us busy. Biboy shares his driving experience, Ian shares his medical condition and I share nothing. Haha. I'm just a good listener and at the same time keep on asking some IT questions which answers all my curiosity about this field. To sum it all, I officially state that Henry a.k.a Biboy Bobadilla is certified one of my best pal.